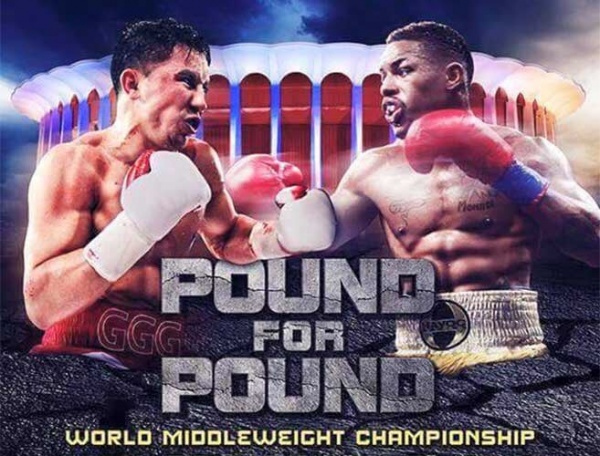 Home > Boxing > Fight Preview: Golovkin v Monroe Jr.
For those who claim that boxing is dead on its feet, sit up and take notice, we are now into the third straight weekend of championship boxing featuring some of the most reputable and exciting fighters on the planet. This weekend WBA and IBO Middleweight champion Gennady Golovkin is aiming to defend his title against American Willie Monroe Jr. Golovkin is regarded as one of the most feared fighters in boxing. He comes into this fight with an undefeated record and a nineteen straight knockout streak. You would have to go back to July 2007 to find the last opponent to go the distance with Golovkin. His record of 32-0 (29 KOs) boasts the highest knockout ratio in middleweight championship history. Golovkin should be regarded as the natural successor to Floyd Mayweather’s pound for pound crown, unfortunately because of his reputation as a renowned puncher his rivals appear on the surface to be purposefully avoiding him. His career, even at this point is reminiscent of former middleweight king Bernard Hopkins. Following a defeat to Roy Jones Jr. in 1993, Hopkins went on to dominate the middleweight division for a ten year period from 1995 to 2005. In the early half of his reign as champion, Hopkins was not as highly regarded as he should have been, partly down to the quality of opponent for many of his early defences, but this was as a result of the other middleweight title holders avoiding him. It wasn’t until Hopkins derailed multi division champion Felix Trinidad in 2001 that the big fights began to come his way. Golovkin similarly is perhaps a victim of his own success, he may have to content himself with routine defences until his promotion team can negotiate a super-fight for him that will give him the exposure he needs with the mainstream audience. The fear for fans is that Golovkin may be wasting the best years of his career waiting for that dream fight. That aside, Golovkin remains an exciting fighter to watch, his last defence, a late stoppage of top contender Martin Murray is probably his most impressive to date. Murray had built his reputation on a controversial loss to Sergio Martinez and a controversial draw with Felix Strum. Many boxing analysts felt that Murray had done enough to win both those fights. Golovkin dominated Murray throughout and forced the late stoppage sending a clear message out to his rivals that he is top of the middleweight pecking order. So when a champion is as dominate as Golovkin what hope can we give the challenger? New Yorker Willie Monroe Jr. comes into the fight with a record of 19-1 (6 KOs), his most notable win was against the tough Texan Bryan Vera. Monroe is a southpaw which could potentially provide some difficulties for Golovkin, but there is nothing on Monroe’s record to suggest that he can pull off what would be considered a massive upset. On paper it seems like another routine defence and the prediction is for an early stoppage. If Monroe makes it to the half way mark of the fight it will be a surprise. Also on the same night, is the meeting of WBC Flyweight Champion Roman Gonzalez and challenger Edgar Sosa. Gonzalez is already a three weight world champion and a staple of the pound for pound lists. Regarded as the most exciting fighter you’ve never heard about, he combines power and great combinations to great effect in the ring. Sosa is a veteran world title challenger who is getting perhaps his last crack at the title. Expect fireworks in this one as well. 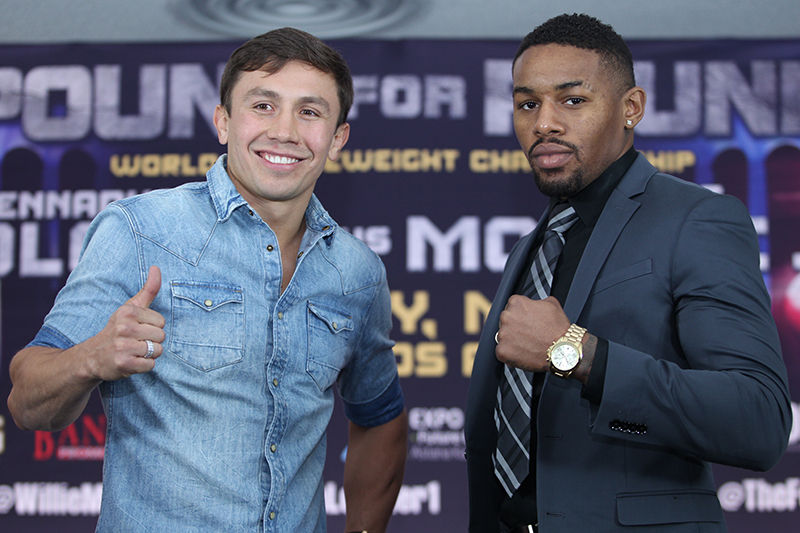 Tagged Boxing Gennady Golovkin Willie Monroe Jr.